Let's get one thing straight, right at the beginning. The Toyota Fortuner has been the king of the full-sized premium SUV segment for a decade. 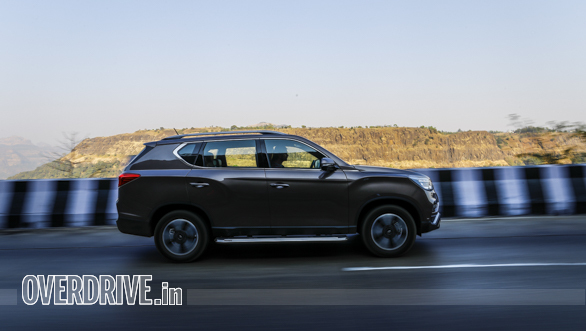 It overpowered the previous generation Ford Endeavour to the crown when it came out in 2009 and it's only now in its current avatar that the Ford is giving the Fortuner the heebie-jeebies. 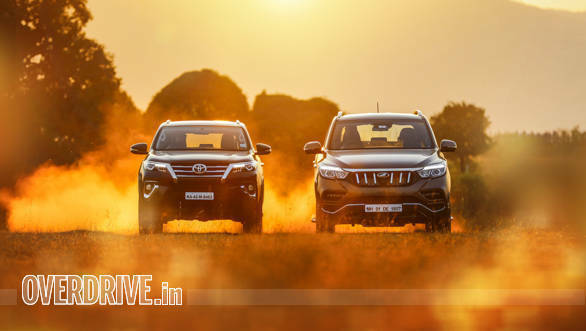 The Endeavour has proved to be the better SUV overall, but the Fortuner is still the best-seller. 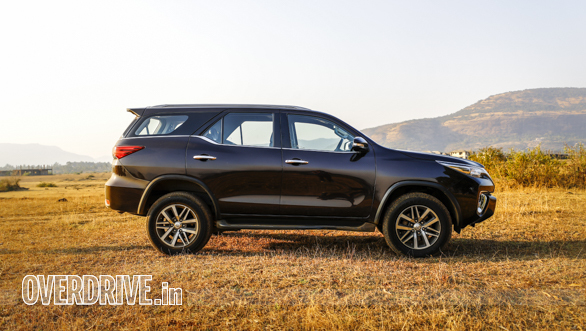 And let's face it, no other manufacturer has posed a serious challenge to the Fortuner. 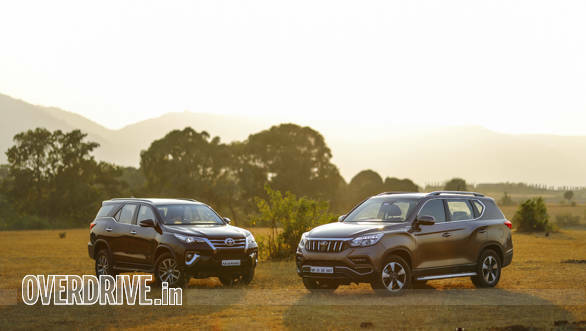 But now the Japanese SUV must fend off a fresh challenge from the Mahindra Alturas G4. The Alturas impresses on a lot of fronts that matter to buyers, like imposing dimensions, road presence and a long equipment list. But is the Alturas  originally the SsangYong Rexton G4  reason enough for the Fortuner to be worried? I know, a lot of purists will scorn the very question, I've wanted to answer it for some time now. I would have really liked to include the Ford Endeavour in this comparison test too but Ford was unable to provide us with a test SUV. So the Alturas G4 versus the Fortuner it is! There's something about 'real' SUVs that makes them so appealing with their imposing dimensions, tall stance and muscular lines. 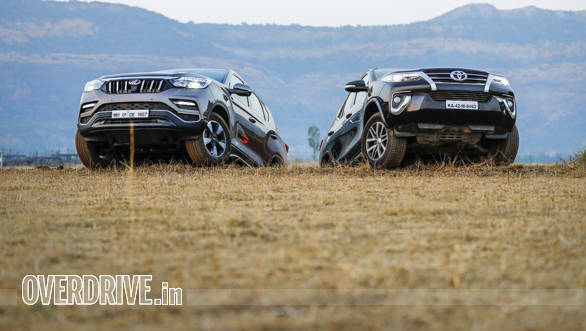 Both SUVs score well but with a difference, as the Fortuner is sharper and has a more butch stance while the Alturas G4 is softer and more elegant looking. It's the headlamp design and thick chrome slats flanking the grille that make the Fortuner's face aggressive, while the Alturas G4's front looks saner but eye-catching. The story isn't very different at the sides or the rear. The Fortuner's window line has a sharp kink at the C-pillar, while the Alturas has thick character lines over the wheel arches. However, when viewed from certain angles, the lines on the Alturas almost look like the wheel arches have been dented! The Fortuner's tail lights are sharper looking and appear higher set. The Alturas looks simpler from the rear too and also looks shorter, despite being taller. On the whole it's hard to pick one SUV over the other though, as both boast lots of road presence. The differences continue inside too. The Fortuner's old-school theme is likeable but is getting long in the tooth. Its dashboard layout is a lot more functional and the centre console is a little too in-your-face. Toyota has used generous amounts of leather to offer a premium feel but the Alturas feels more premium still with its quilted nappa leather. 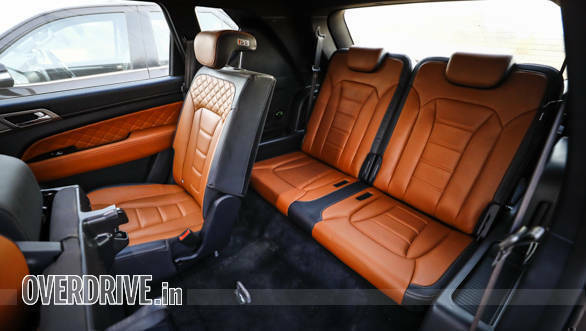 The quilted leather on the door panels, seats and dashboard looks and feels more luxurious, along with the brushed metal and faux wood. 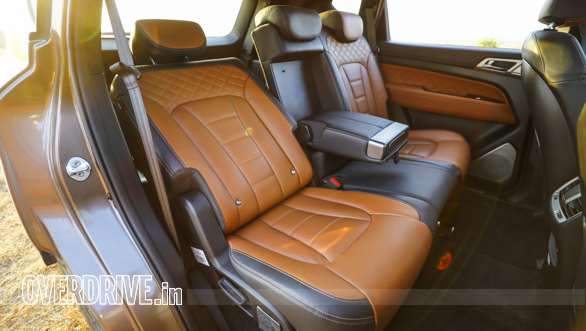 The Alturas also boasts better interior ambience. The Fortuner's all-black theme looks sportier but takes the sense of spaciousness away. The Alturas feels more spacious and has more cubby holes and an electric sunroof as well. It also comes equipped with a bigger, eight-inch infotainment screen with a higher resolution and brighter colours than the Fortuner's seven-inch touchscreen. The Alturas cabin thus feels like it belongs to a far more expensive SUV. But move to the second row and the Fortuner feels better. The G4's second row bench is fixed so you cannot slide it forward or backwards like the Fortuner's. Not that there's a dearth of legroom and kneeroom in the Mahindra but the Toyota offers more space, despite its wheelbase being over a 100mm shorter! 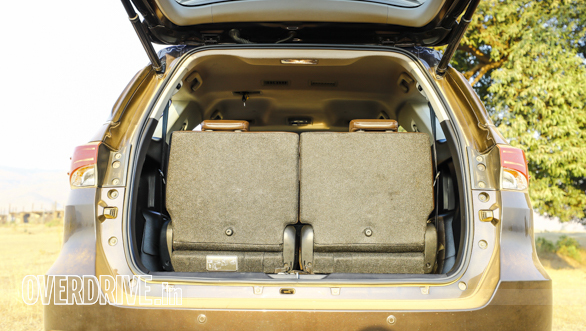 That said, you sit a lot higher in the Fortuner which also results in lesser headroom. 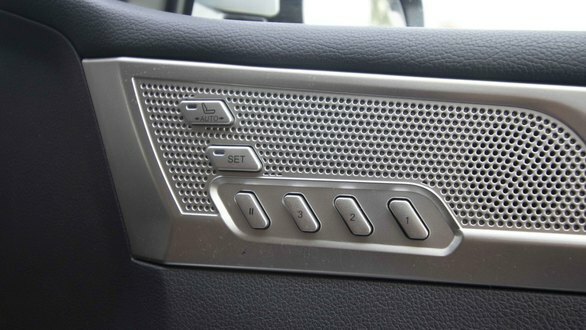 Second row ventilation in the Fortuner is better though as you get two roof-mounted air-conditioning vents while the Alturas makes do with two less effective vents behind the driver's armrest. The Alturas G4's third row feels better, but only slightly. 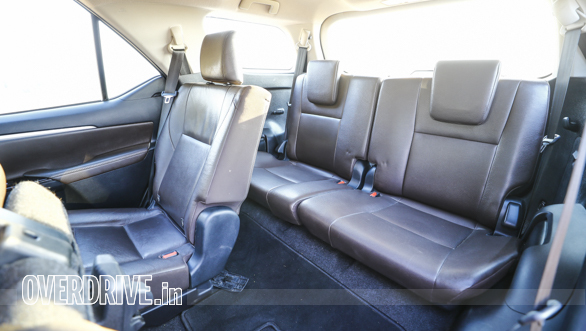 Ingress into the Fortuner's third row is quicker but the Mahindra offers slightly better head and knee room. 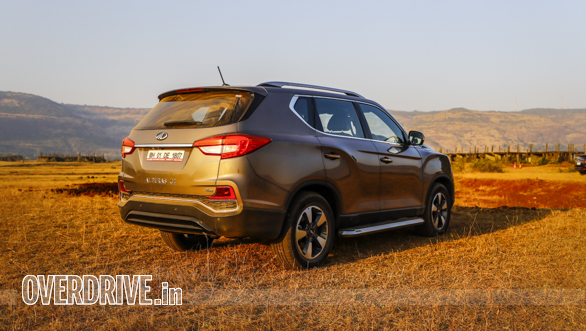 The Alturas G4's air-conditioning vents are placed oddly though, on the right side, unlike the Fortuner's roof-mounted vents. 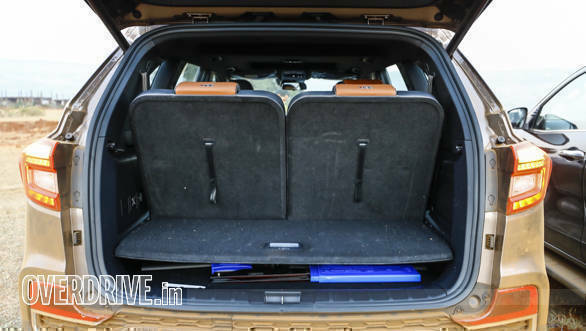 In terms of boot space, both are on par with each other, but while the Fortuner's third row is folded the old school way by flipping the seatback down and 'hanging' the seats up vertically, the Alturas G4's seatbacks fold down. This is where the Alturas G4 has an advantage. 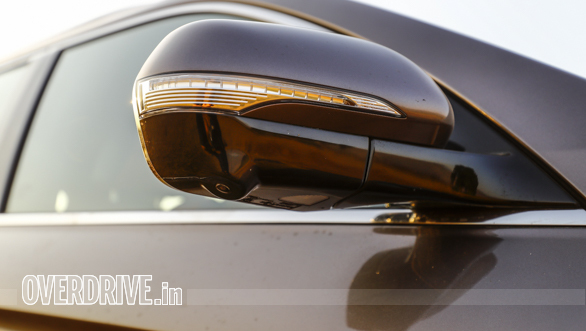 It comes equipped with HID headlamps and LED fog lamps which also function as cornering lamps. It also gets a 360-degree parking camera and front parking sensors which the Fortuner does not. The Alturas lets you open the boot simply with the key in your pocket, while the Fortuner requires you to use the key fob manually. Walk up to it and the Alturas G4's ORVMs unfold and puddle lights come on, open the door and the driver's seat slides back to allow easy ingress and egress. 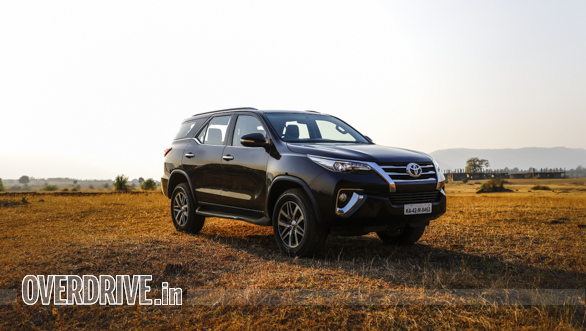 These are features the Fortuner does not get. 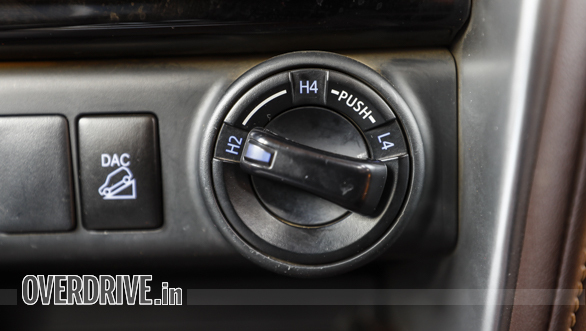 The Alturas gets dual-zone air-conditioning up front, but the Fortuner comes back with dedicated rear AC controls. 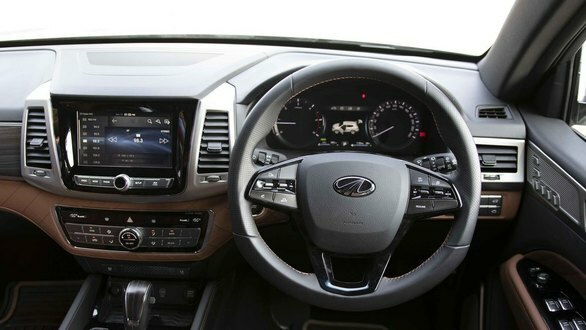 The infotainment system in the Mahindra is more modern and also offers Apple CarPlay and Android Auto connectivity, while the Fortuner only offers Bluetooth. 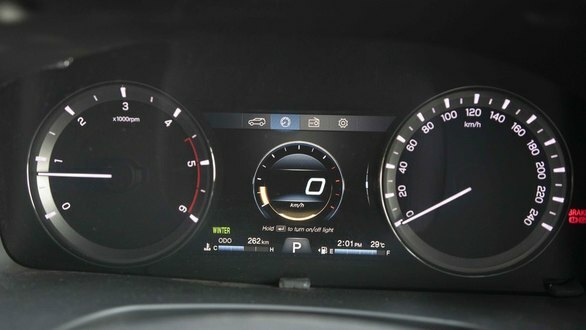 Instrument clusters in both SUVs include a digital display, but the Alturas has the bigger (seven-inch) and better display which offers more customisation options, including a digital speedometer. 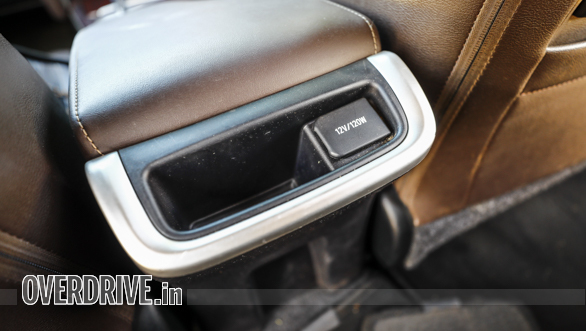 The Fortuner gets a second, cooled glove box, while the Alturas only gets one. 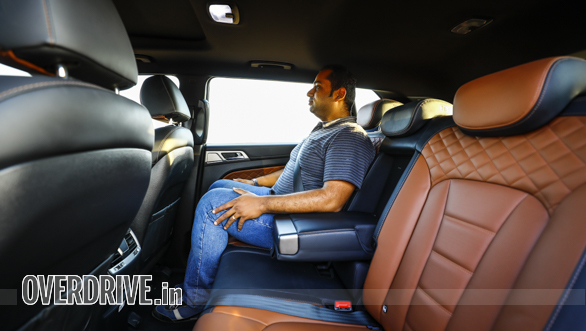 But the Alturas G4 comes with ventilated front seats, a boon for our summers. 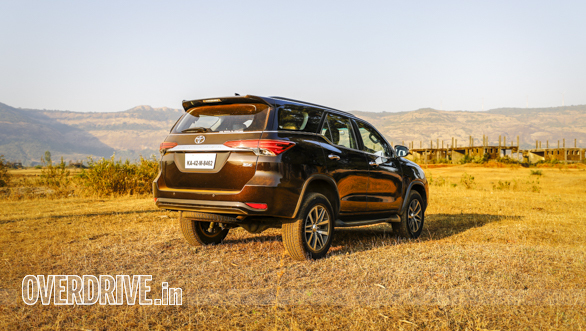 Then there's rain sensing wipers and a tyre pressure monitoring system, features that the Fortuner misses out on. Both SUVs are equipped with hill climb and descent control. Of course, both come equipped with proper four-wheel drive systems, but more on that later. 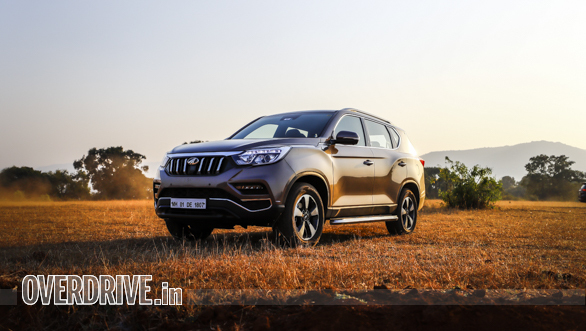 The Alturas G4 scores better on the safety front as well, as it comes equipped with nine airbags as opposed to seven in the Fortuner. The Fortuner has the bigger engine, but both are on par with each other in terms of outputs. The Fortuner's 2.8-litre diesel engine offers 177PS and 450Nm while the Alturas G4's 2.2-litre engine offers 180PS and 420Nm. The Fortuner engine is mated to a six-speed automatic gearbox with paddle shifters while the Alturas uses a Mercedes-Benz sourced seven-speed automatic and does not get paddle shifters. 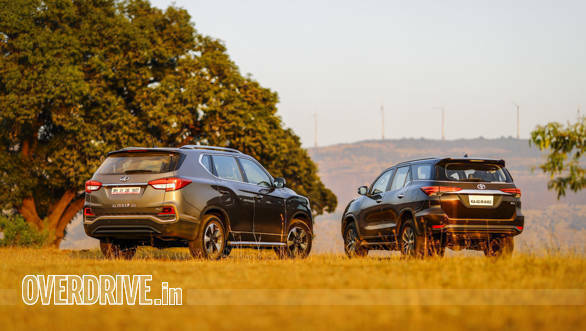 The Alturas G4 was a second quicker in our 0-100kmph test, clocking 11.20 seconds as opposed to the Fortuner's 12.30 seconds.Neither manufacturer reveals kerb weights but international brochures for both SUVs tell us that the Fortuner is about 100kg lighter than the Alturas G4, which is surprising given the acceleration timings! 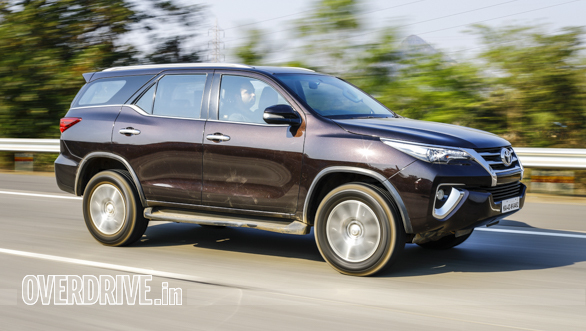 The Fortuner's throttle response is better but it is bogged down by its slower transmission. 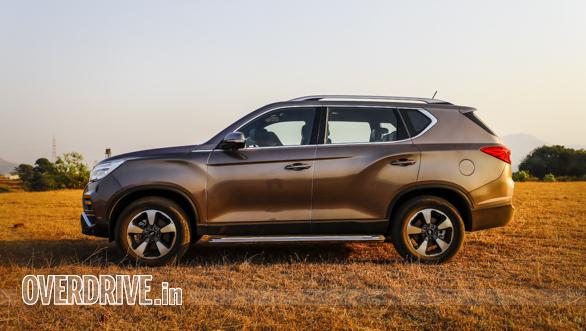 The Alturas G4's engine feels more refined and is also a lot quieter. The Fortuner's engine makes itself audible, especially as revs go up and it sounds as if it is hard at work all the time, while the Alturas G4's engine sounds calmer and more relaxed. What's more, the Fortuner starts coasting when you lift your foot off the gas, which gets irritating as there's barely any engine braking. The Fortuner lets you choose between Eco and Power modes but throttle response in Power mode gets a little too hairy in traffic, especially since its initial ratios are shorter. 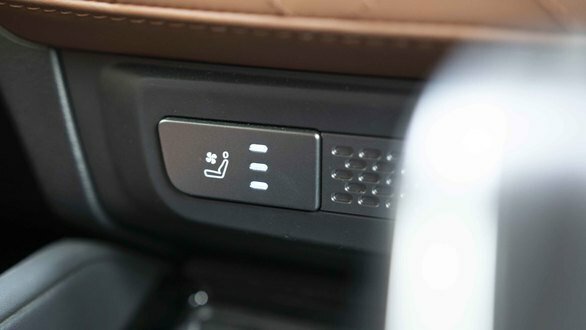 The Alturas on the other hand has a switch to let you select between Winter and Summer mode for the engine, and selecting Winter dulls throttle response noticeably. Overall fuel efficiency for both SUVs is nearly identical, so both are matched evenly on that front. 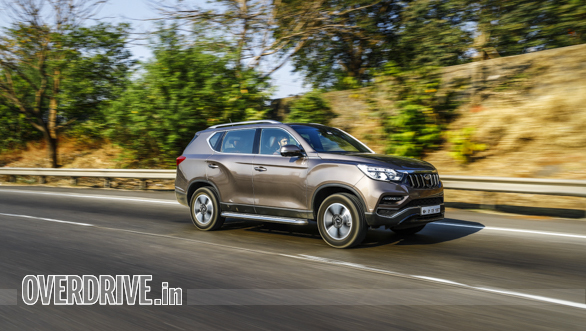 The Alturas G4 goes over undulations with more grace, resulting in lesser movement of the SUV and the occupants are also quieter. The Fortuner's suspension is softer and more sensitive and it goes over the same potholes with a thud, also causing more lateral movement. The Alturas also settles down quickly, while the Fortuner takes a moment after going through ruts. The Alturas feels plusher and more stable at highway speeds, stays composed over expansion joints and is more car-like in terms of comfort while the Fortuner feels like an old school SUV. One of the biggest reasons behind the Fortuner's immense popularity is its off-road prowess. Both SUVs come equipped with four-wheel drive systems that let you select four-high and four-low ratios via rotary knobs, but it isn't without reason that the Fortuner is a crowd favourite. Its approach and departure angles are higher and it boasts lower ratios which allow it to crawl over the tricky bits at slower speeds, thereby affording greater control and stability. The Toyota also boasts better load-pulling abilities with its lower ratios, so if another vehicle were to get stuck off-road, I'd pick the Fortuner over the Alturas to pull it out. I thus have no doubts in stating that the Fortuner is the better off-roader, though the Alturas is not too far behind. 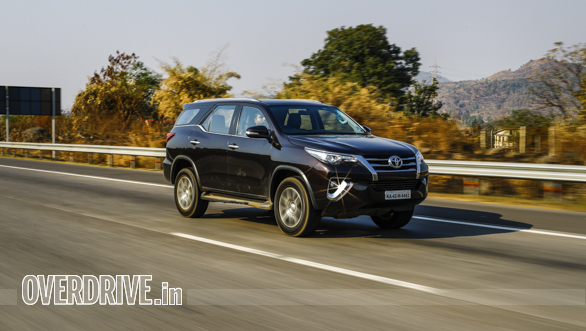 The Fortuner proves why it is the best-selling premium SUV in India yet again and a lot of that has to do with its build and reliability. 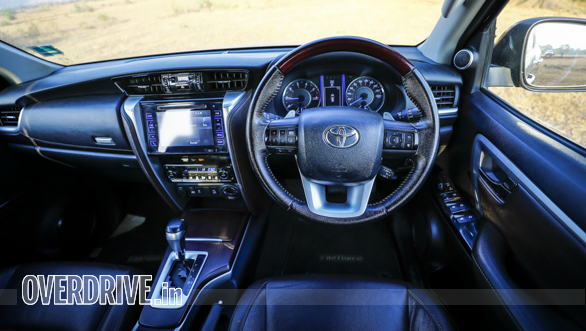 In fact the Fortuner you see on these pages has clocked over 35,000km but neither does it look it nor does it drive like it, and it feels like a battle tank. It is also the more serious off-roader and it is a proven and highly desirable SUV. But the Alturas G4 is the new kid on the block with a lot of promise. It pampers you more and feels plusher and more spacious. A more refined powertrain and quieter cabin help matters too and unless you are an off-road junkie, the Alturas G4 has a lot going for it. 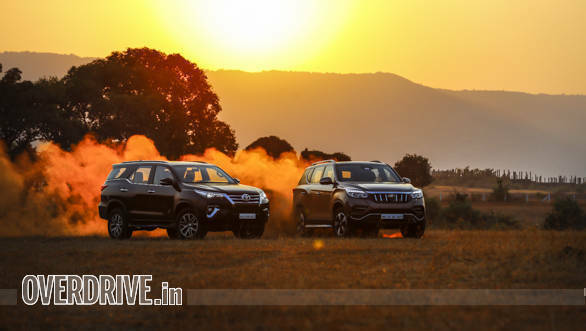 The price difference between the two tilts the scales further in the Mahindra's favour  its 4x4 version costs Rs 4 lakh less than the Fortuner's 4x4 automatic version. It is a Mahindra though, a brand that a lot of people will think about when putting their money down. And the Fortuner has proved itself as an utterly reliable SUV, while it remains to be seen how the Alturas G4 will age. But Alturas G4 is the better overall package here, which makes it the winner of this comparison test.